Neuss, 21. August 2018 – Der aktuelle ‚Gartner Hype Cycle for Emerging Technologies 2018‘ beschreibt das Thema „Immersive Erfahrungen“ als einen der fünf großen Technologie-Trends, die unsere Wirtschaft derzeit maßgeblich beeinflussen und die IT-Abteilungen bei der Entwicklung ihrer Technologiestrategie berücksichtigen sollten. Die Toshiba Europe GmbH hat als Anbieter mobiler Computing-Lösungen das Augenmerk bereits seit Längerem auf dieses Thema gerichtet. Ein Ergebnis aus den intensiven Forschungen rund um den intelligenten Arbeitsplatz ist die innovative, Windows-basierte Assisted Reality-Lösung dynaEdge DE-100 einschließlich Datenbrille AR100. „Den Trend zu immersiven Technologien, den Gartner identifiziert hat, können wir nur bestätigen: In einer aktuellen Studie haben wir das Interesse der Unternehmen an Assisted Reality-Lösungen abgefragt – und dieses ist immens: 77 Prozent der befragten IT-Entscheider in Deutschland planen den Einsatz der innovativen Technologie innerhalb der kommenden drei Jahre. Assisted Reality-Lösungen unterstützen mobile Mitarbeiter vor Ort, die – sei es im Lager, am Windrad oder am Produktionsband in der smarten Fabrik – auch ohne durchgehende Stromversorgung Daten mobil sammeln und verarbeiten müssen. Über die Datenbrille werden ihnen notwendige ergänzende Daten eingeblendet, wie zum Beispiel Prozessschritte in der Produktion, Live-Videos, weiterführende Informationen oder auch der Remote-Support. So gestaltet sich der Arbeitsprozess deutlich effizienter. In this report, LP Information covers the present scenario (with the base year being 2017) and the growth prospects of global Logistics Services (3PL & 4PL) market for 2018-2023. The 3PLs of today can provide a much broader range of services than they used to. It used to be that their primary focus was on warehousing and shipping, so if you sent them your product they would store it and ship it for you. Now, 3PLs can handle almost your entire business. This includes not only the complete supply chain cycle, but also such functions as customer service, order management, sales support, ecommerce and IT integration. In fact, there are very few aspects of your business that a 3PL can’t take care of for you and in many cases, they have technology and resources that you may not, so you get the benefit of top-tier tech without the investment. A 4PL is an independent, singularly accountable, non-asset based integrator of clients’ supply and demand chains. The 4PL’s role is to implement and manage a value creating business solution through control of time and place utilities and influence on form and possession utilities within the client organization. Performance and success of the 4PL’s intervention is measured as a function of value creation within the client organization. The logistics market is large, fragmented and populated by a wide range of differing companies. There are multinational companies offering a comprehensive range of logistics services leading the industry, down to smaller national freight forwarders, offering simple logistics services. The market has been driven by consolidation over the last 20 years, with customers seeking fewer, larger providers that are able to manage complex supply chains on a global basis. Market growth has been driven by both increased economic activity and the continued trend in outsourcing of logistics activities to third-parties, both new outsourcers and companies outsourcing more activities to third-parties. The largest region in terms of outsourced logistics market size is Asia Pacific, followed by Europe and North America, with the Asia Pacific region having experienced faster growth in logistics market value than other regions. Outsourcing penetration is highest in Europe, but levels are increasing quickly in Asia Pacific. Key Trends The trend of outsourcing business processes and supply chain activities continues to be a driver of logistics company revenues and hence market growth. The growth of e-commerce is also creating an environment where supply chains are adapting to new models. Ecommerce is driving further logistics outsourcing to third-party supply chain specialists. Dedicated e-commerce warehousing and distribution contracts are increasingly being awarded to logistics providers. A key trend in the global logistics industry is the provision of value-added services and bespoke solutions. Logistics providers are increasing their focus on specific industry sectors such as high-technology, automotive and pharmaceuticals, and offering additional value-added services that make their services more relevant for client needs. New technologies are finding their way into logistics services in order to improve productivity and enhance service. New logistics technologies being developed include vehicle management software, self-driving vehicles, robotics, internet of things applications and augmented reality. The largest logistics providers are characterized by differing service lines, asset ownership models, geographical scope and types of customers they serve. The top three groups are all based in Europe: DHL is the largest provider globally, followed by Kuehne & Nagel and DB Schenker Logistics. All three have grown slower than the market in recent years as they have consolidated the major acquisitions made in the past. Most, but not all, of the leading logistics providers operate on a global scale, covering more than one continent. Some have a signific presence in all regions (ie Europe, Americas, Asia Pacific and Middle East / Africa). There has been significant mergers and acquisitions activity in the global logistics industry. Over the next five years, LPI(LP Information) projects that Logistics Services (3PL & 4PL) will register a 1.9% CAGR in terms of revenue, reach US$ 880 million by 2023, from US$ 790 million in 2017.This report presents a comprehensive overview, market shares, and growth opportunities of Logistics Services (3PL & 4PL) market by product type, application, key manufacturers and key regions. To study and analyze the global Logistics Services (3PL & 4PL) consumption (value & volume) by key regions/countries, product type and application, history data from 2013 to 2017, and forecast to 2023. To understand the structure of Logistics Services (3PL & 4PL) market by identifying its various subsegments. Focuses on the key global Logistics Services (3PL & 4PL) manufacturers, to define, describe and analyze the sales volume, value, market share, market competition landscape, SWOT analysis and development plans in next few years. To analyze the Logistics Services (3PL & 4PL) with respect to individual growth trends, future prospects, and their contribution to the total market. To project the consumption of Logistics Services (3PL & 4PL) submarkets, with respect to key regions (along with their respective key countries). Mobile robots are automated machines designed for independent locomotion in all types of terrains and environments. These robots are mainly used to conduct surveillance, inspection, logistics, and data collection. These machines have become one of the fastest growing segments within the robotics industry, and are attracting increasing investments. In recent times, the use of mobile robots has increased manifold in commerce and industry. Mobile robots are classified based on the environment in which they operate. Such robots include UGV, UAV, and UMV. Technavios analysts forecast the global mobile robotics market to grow at a CAGR of 12.21% during the period 2016-2020. The report covers the present scenario and the growth prospects of the global mobile robotics market for 2016-2020. Technavio’s report, Global Mobile Robotics Market 2016-2020, has been prepared based on an in-depth market analysis with inputs from industry experts. The report covers the market landscape and its growth prospects over the coming years. The report also includes a discussion of the key vendors operating in this market. ResearchMoz is the world’s fastest growing collection of market research reports worldwide. Our database is composed of current market studies from over 100 featured publishers worldwide. Our market research databases integrate statistics with analysis from global, regional, country and company perspectives. (Mynewsdesk) Berlin/Boston, 13.01.2016 – Mobizcorp , international führender E-Commerce-Lösungsanbieter, gibt die strategische Partnerschaft mit NewStore bekannt. 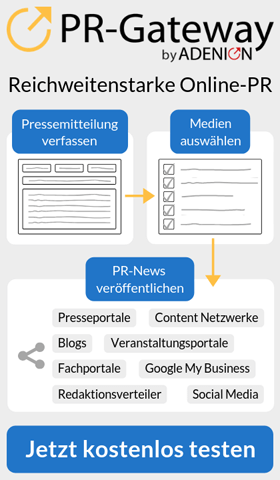 NewsStore ist Entwickler der mobilen Handelsplattform der Zukunft und wurde von Stephan Schambach gegründet, dem früheren Gründer von Intershop und Demandware. Die Zusammenarbeit ermöglicht Mobizcorp, die mobile Handelsplattform von NewStore anzubieten und bei Markenanbietern und Händlern zu implementieren. NewStore, mit Sitz in Boston und Berlin, entwickelt die erste Mobile Commerce Plattform, die hohe Konversionsraten ermöglicht, Online und Offline verbindet und Fulfillment modernisiert. In Zusammenarbeit mit bestehenden E-Commerce-Plattformen wie Demandware, ermöglicht NewStore Markenanbietern, eine “Mobile-First”-Einkaufserfahrung – überall und jederzeit, einfach per Single-Touch, genau wie Verbraucher heute kaufen möchten. Die NewStore-Lösung nutzt die Vorteile von Mobile Commerce und Fulfillment, um ein neues Kundenerlebnis zu schaffen und den E-Commerce für das mobile Zeitalter neu zu definieren. Mobizcorp hat Niederlassungen in Europa und den USA und ist einer der erfahrensten Demandware-Solution-Provider. 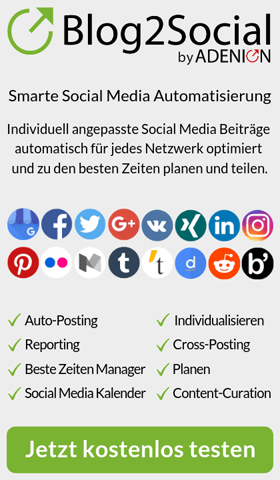 Seit über zwölf Jahren bietet Mobizcorp ausgezeichnete E-Commerce-Lösungen für Strategie, Consulting, Implementierung, Mobile/POS sowie laufende Unterstützung und Optimierung. Bei diesen Prozessen unterstützt Mobizcorp internationale Marken wie Brooks Brothers, Columbia, Jack Wolfskin, Pandora, Diane von Fürstenberg, Reitmans, Depot, Engelhorn und Tory Burch. „Unsere Lösung nutzt die Stärken von Mobile Commerce und moderner Logistik, um die Bequemlichkeit des One-klick-Shoppings mit Same-Day-Delivery zum Standard zu machen. Als einer unserer strategischen Geschäftspartner ist Mobizcorp ein Teil des Mobile-Commerce-Puzzles, das wir lösen“, sagte Stephan Schambach, Gründer und CEO, NewStore Inc.
Spezialisiert auf E-Commerce-Lösungen, ist Mobizcorp auf die Entwicklung und Bereitstellung von Best-in-Class Omnichannel-Plattformen für globale Marken fokussiert. Mit starkem internationalen Know-how aus Einzelhandel, Mode- und Luxusanbietern positioniert sich Mobizcorp als Partner mit Beratungs- und Supportleistungen, die Online-Umsätze zu steigern. Güttingen (CH), 18.11.15. Die Schweizer Nufatron AG, Spezialistin für ganzheitliche Systemlösungen in der Transportlogistik, zeigt auf der transport-CH 2015 ihre neue Flottenmanagement Plattform TIS#FleetViewer mit der jüngsten Generation der TRANSPO-Drive® Telematik-Systeme ein erstes Mal dem heimischen Publikum. Die zentrale Flottenmanagement Software TIS#FleetViewer vereint die Informationen zu Fahrer, LKW, Trailer und Aufträgen, welche durch Nufatrons Telematik-Systeme der TRANSPO-Drive® Produktfamilie in Echtzeit bereit gestellt werden. Mit der flexiblen Kollaborationsplattform erhält nicht nur der Fuhrparkmanager ein Instrument zur gewinnbringenden Steuerung seiner Flotte, auch der Disponent kann mit ihr sein Tagesgeschäft effizienter planen und umsetzen. Die Integration von Drittsystemen ermöglicht ihm zudem, dies auch bei inhomogener Telematik-Landschaft zu tun und alte Installationen schrittweise auf die neue Plattform zu migrieren. TIS#FleetViewer beinhaltet weitreichende Funktionen wie Ortung und Spurverfolgung von LKWs, Trailer und Wechselbrücken, Auftragsverfolgung nach Status und Leistungserbringung sowie Fahrzeugstatus und Auswertung der Fahrzeugdaten (CAN/FMS). Auch die Kommunikation mit den Fahrern erfolgt über TIS#FleetViewer, sei es in Form von Textnachrichten zum Telematik-System oder durch einen Sprachanruf, wenn die Zentrale entsprechend ausgerüstet ist (VoIP). Darüber hinaus ermöglicht die Flottenmanagement Plattform eine transparente Auswertung des Fahrverhaltens mit dem Ziel, ein ökologisches und ökonomisches Fahren zu fördern. Fahrzeugseitig werden hierfür durch die TRANSPO-Drive® Systeme die relevanten Daten nicht nur gesammelt, sondern dem Fahrer durch den Fahrstilassistenten auch ein unmittelbares Feedback gegeben, um ihn in der optimalen Fahrweise zu unterstützen. Sinnvolle Routen werden ihm derweil durch die LKW-Navigation mit automatischer Zielführung aus den Auftragsdaten erstellt. Die so errechneten Ankunftszeiten (ETAs) werden wiederum TIS#FleetViewer zurück gemeldet, um die weitere Planung effizienter zu gestalten. Erstmals zeigt man auch TRD-light, die Telematik-Einsteigerlösung auf Basis der neuen Hardware Plattform von TomTom. Den oftmals ändernden, durch die Endkunden vorgegebenen Bedürfnissen wird durch vielfältige Adaptionsmöglichkeiten Rechnung getragen. Die Systeme wachsen mit den Anforderungen mit und der Kunde profitiert von der dreissigjährigen Erfahrung Nufatrons im sich stetig wandelnden Logistikmarkt.